We know you won’t forget the candy for the trick-or-treaters or your costumes (even if both are done last minute), but this year we want to make sure that you don’t forget the coffee! 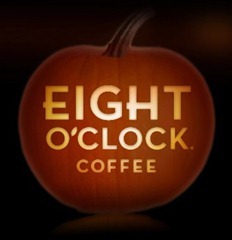 Whether you get a handful or tons of trick-or-treaters, grab a great cup of coffee like Eight O’Clock. It keeps you going AND it tastes delicious with those pieces of candy we all sneak from the treat bowl! For, a real treat, just drop a fun-size chocolate bar in your coffee to make real mocha, the old fashioned way! Finally, if you’re throwing a party, don’t forget the coffee. You can even label it "witches’ brew" and make it part of the festivities. I may have to raid the Halloween candy clearances! I can already see myself on PartyBingo.com at 3 a.m. two weeks after Halloween, jittery and red-eyed on my 12th cup of old fashioned mocha. It’s what I call dangerously delicious. As we’ve gotten older, my husband and I have grown to appreciate a great cup of Joe. Eight O’Clock coffee has become one of our favorites for it’s fresh, smooth and rich flavorful taste. It’s a coffee shop in your kitchen! ONE OurKidsMom reader is going to win an Eight O’Clock Coffee Prize Pack! This giveaway ends at 11:59 PM EST on November 11, 2011. Found & printed a great $2 off coupon while I was checking out the site 🙂 THANKS!! I like the k-cup instructions they give. Nice to know. 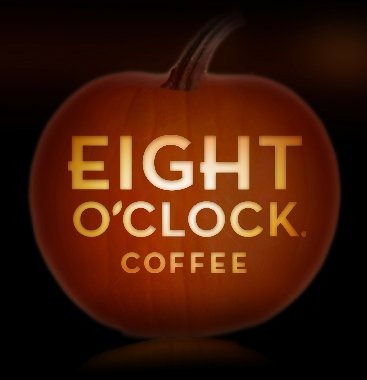 I want to try Eight O’Clock coffee- I have never had it but have always heard good things about it ( I currently drink Folgers). I also already followed them on Facebook. There’s a $2 coupon on the site! 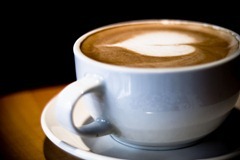 the “?find your grind is great” gotta love it, i want the mocha! I did not know that they had a mocha blend and there is a $2 off coupon on their website. would love to try the french vanilla flavor! I would love to try their Mocha and French Vanilla. I like that they have 50% decaf bags. I usually buy regular & decaf and switch back & forth. I learned and like that they carry 50% decaf! I would love the French Roast. I’d like to try the Bokar blend. I would love to try their Mocha coffee. I would like to try the Bokar coffee. I like their French Vanilla coffee. I saw other blends I would like to try on their website. I would like to get Eight O’Clocks Hazelnut blend. They put a century and a half of expertise into every bag! I like the Hazelnut flavor! I like the find your grind so you can learn about the different coffees. I would love to try the hazelnut. I would love to try thier columbian coffee. 8o’clock is the brand my great grandma used to drink – we all have grown up on their red bag! Its the best! I really love mocha coffee and I just learned that they have it!! I like the French Vanilla and Mocha coffee. I would like to try the Bokar. I like whole beans and to grind then up to my fineness. I want to try the Dark Italian Roast. I would love to have the Eight O’Clock French Vanilla! I like that they have 50% decaf! I would love to try the Eight O’Clock French Vanilla coffee, sounds good! Thanks so much for hosting this great giveaway! The 8 oclock Decaf Coffee is wonderful, because it’s a delicious way to have a low calorie “after dinner dessert”: simply add a few drops of chocolate liquor and enjoy. I didn’t know they had so many varieties the Mocha sounds good. I learned that Eight O’Clock Coffee is 151 years old. I love the coffee lounge on the website, very cool. I’d love to try the Dark Italian Roast. I learned that they have a “Metabolism Boost” variety of coffee now! I learned that they have 12, 36 and 42 oz bags available. I’d love to try the hazelnut kind! I snagged the $2 coupon!! I would like to try the Hazelnut blend coffee. yummm… they have a french vanilla flavor. my favorite! They have a coffee lounge section on their website that looks interesting. I would like to try the French Vanilla. I learned Eight o’ Clock now has a new blend called Metabolism Boost™ Performance Blend that has ECCG in it. OOooh I didnt know they had an Italian dark roast….YUM cuz I like my coffee with a lil kick to it! I didn’t know they had other types besides their original, I’d love to try the Mocha. I learned that you can buy 8 oclock coffee at BJ’s warehouse, which is close to me! i like that they have many varieties and carry it near me. I would love to try the bokar coffee blend! I learned that in 1979 8 O’clok coffee was sold outside of A&P, we had an A&P around the corner and I loved to go in there as a child because it always smelled like coffee. It was around 1979 or so that our A&P became a different grocery store and we no longer have them in Michigan. I really want to drink up a cup of their Hazelnut Coffee! I learned that they have been in business for over 150 yrs. I printed the two dollar coupon that is on their site. I learned that the company started back in 1859. I would love to win the coffee pkg. We’d like to try their Dark Italian Roast coffee. Their “Find Your Grind” wheel is so neat! I like the flavor selection. LOVE that they gave K-cup instructions. This is the only coffee my mom has used for over 20 years and when she visits it would be nice to give her the coffee she likes. there is a $2 off coupon on their website! I would like to try their mocha brew. I’d love to try the mocha! I learned that they also sell K-cups now. I’d like to try their French Vanilla and Hazelnut coffees! Love their coffee. Always loved going to the store and grinding the Eight O”Clock fresh. I don’t know if my first comment went through or not because I got an error message, so I’m trying again. There is a coupon for $2 off 2 bags if you click the link on the bottom of their page. This is our favorite coffee. I would love to try the Eight O’Clock Whole Bean Hazelnut Coffee. Eight O’Cloick coffee has really changed their grind with many more options then plain coffee. I learned they are based in New Jersey. Would love to try their Hazelnut coffee. I would love to try the 100% Columbian coffee. The dark italian roast, french roast, and bokar all sound great. I learned they have Mocha coffee. I never knew that! I love the darker roasts available! I visited Eight O’Clock Coffee’s Website website and I want the 100% columbian coffee. I’d like to try th hazelnut coffee. I ‘d like the French Vanilla coffee. I am intriged by 8 O’Clocks new Metabolism Boost coffee. I’ve gotta try that. I love that the website has a radio station! Very cool! i found out that they have a 50/50 Decaf/reg blend!! This is outstanding!! I would love to try the Mocha or Hazelnut flavors. You can get a $2 coupon right off their website! 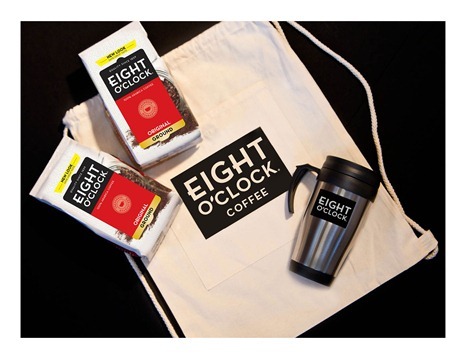 Looking at the Eight O’Clock website I just discovered they have flavored coffee. I will have to see if my local store has the Mocha flavor. Thanks. I am beginning to really love coffee. I may have to give the vanilla kind a try, because i’m a total vanilla addict! Years ago there was an A & P nearby and I then bought the 8 o’clock coffee (freshly ground, smelled soooo good). When the store closed I couldn’t find the coffee elsewhere so switched. Out of habit I just pick up my usual brand atthe market, but now I’m going to look for the 8 o’clock knowing it’s available.